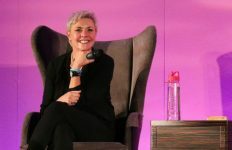 OPINION: If the next Stargate project is going to stick to the existing canon, long-time viewers are going to need some answers. Stargate Atlantis: "Enemy at the Gate"
We’ve got questions. And nearly eight years after the last episode of Stargate faded to black, there’s real hope that one day we might actually get some answers. Brad Wright is reportedly working on some sort of new project set in the Stargate universe. What form that might take (and how long it will take to get to our eyeballs) remains to be seen. But, when it does come, there are certain questions — hold-overs from the previous series — that need to be answered before the franchise and its fan base will be ready to move forward into a brave, new era of stories. … If, that is, the next show is going to continue the canon of 17 seasons and 354 episodes of television. Sure, there are plenty of questions we would like to have answered, but might not be addressed in future projects. Are Sam and Jack together? What does “N.I.D.” actually stand for? Did Todd the Wraith become a vegan? Those threads in the tapestry of Stargate canon are important, and each is a part of what makes Stargate so much fun. But the questions below are those I think just have to be answered. Some pertain to where the franchise was moving in 2011, and others are straight-up unresolved cliffhangers. A new series, should it be set within the established TV continuity, can’t let them go unaddressed — even if it is set years later, with a whole new cast of characters. So if the creators of the next show have any intention of hewing close to the established canon and continuing the Stargate universe as it exists now, these are the five questions I think will need to be on the table. That doesn’t have to come in the form of a big movie event, or a continuation of past series (with their sets rebuilt and their casts rehired) … though yeah, that would be cool, too. A single episode, or further plot development, or even just a line of dialogue offering some in-canon answer might be enough. And with Wright reportedly at the helm of whatever is coming next, there’s a good chance that the next project will indeed stick to canon. In no particular order, here are the questions that need answering. (1) What has become of the Asgard … and the Pegasus Galaxy? 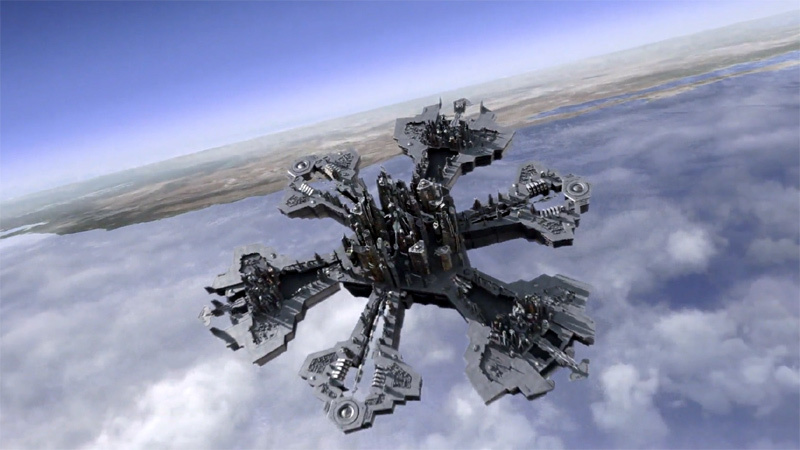 The Asgard were so big, so iconic, and such a powerful force in the Stargate universe that their miraculous return from oblivion just can’t be left twisting in the wind. 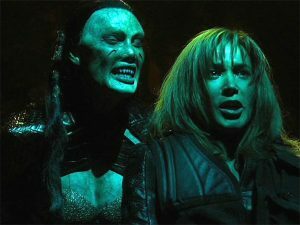 In the final season of Stargate Atlantis we learned that not all Asgard were wiped out when the homeworld committed mass suicide (SG-1‘s “Unending”). A small colony of separatists have been hiding out in the Pegasus Galaxy for thousands of years. These Asgard are smart. They are aggressive. And they are advanced, equipped with Ancient suits and fast-moving ships able to penetrate Atlantis’s city shield. Now they are on the march, ready to come out of the shadows. Had Atlantis continued past is fifth season the writers had every intention of coming back to the “Vanir” (an unofficial nickname, from Norse mythology). Now more than a decade later, we need to know what became of this rising antagonist. For them to go unmentioned for too long would be a pretty big oversight. 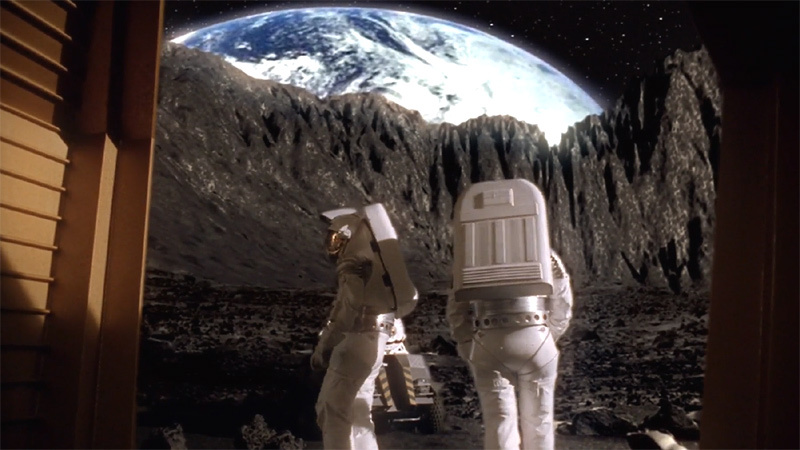 (2) So is there a Moon base now? Rumor has it that this base might have eventually been Atlantis itself — relocated from San Francisco Bay. The city was to be quietly tucked away from public view at the start of the unproduced film Stargate: Extinction. With the city returning home to Pegasus in that story, of course, that base would end up being only temporary. So is this what happened? Sam’s plans are mentioned in 2008, months before Atlantis showed up on Earth’s doorstep looking for a place to crash. (3) Did Atlantis return to Pegasus? Stargate Atlantis signed off in 2009 with a big finale, bringing the once lost city of the Ancients full circle. The city ship landed on the surface of the Earth for the first time in millions of years (“Enemy at the Gate”). That homecoming — for the city, and for the expedition team members — was something of a fitting end to the show. The writers, however, never meant for this to be the end of the story. Atlantis wasn’t meant to end with the Pegasus Galaxy essentially being left behind, its many planets left to fend for themselves as the Wraith continue to ravage system after system. Instead the writers had every intention of continuing into a sixth season. And again, executive producers Joseph Mallozzi and Paul Mullie even penned a movie script that the studio left on the table. 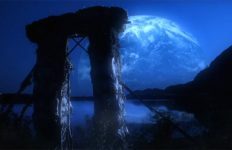 That movie (or sixth season) would have seen Atlantis fire up the stardrive and return home to Pegasus, to continue the search for knowledge and the fight against the Wraith. If the city remained on Earth (or the Moon) it would have played a key strategic role in Homeworld Command over the past decade. But if it’s back in Pegasus … does the expedition have a new commander? Were the Wraith defeated? And what does that defeat look like? Was Dr. Keller’s gene therapy (“Infection”) perfected and widely distributed, so that the Wraith no longer victimize humans as a food source? Or does defeat of the Wraith … actually mean their genocide? (4) Where is the Destiny crew today? 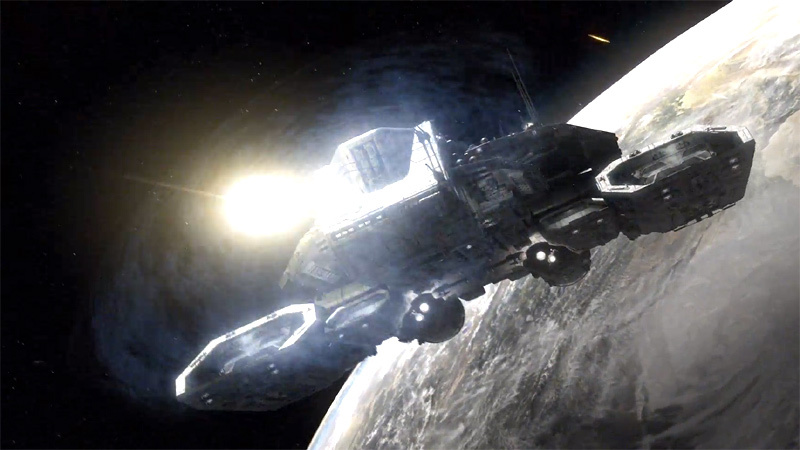 If Atlantis ended with at least a partial resolution, the last episode of Stargate Universe offered viewers anything but. 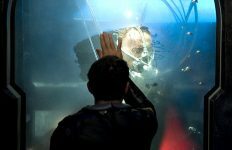 In the final moments of the cliffhanger the crew enters into stasis chambers, as Destiny begins a years-long journey across the emptiness between galaxies (“Gauntlet”). The ship is being plagued by aggressive drone weapons, and there is a risk that the ship might not have enough power to reach the next galaxy and refuel. Eli Wallace, meanwhile, puts his life on the line by remaining awake. He’ll either be able to fix the final stasis pod and join the others, or he will have to sacrifice his life to ensure his friends have enough power to survive. 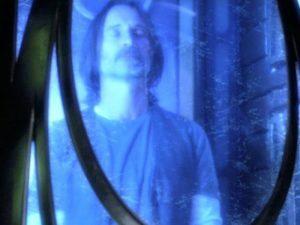 SGU‘s cancellation leaves this story dangling, with the fate of each and every character hanging in the balance. At the very least, should the existing universe be continued, fans need to know who lived — and who died. Did Destiny reach the next galaxy? Did Earth mount a rescue mission via Stargate? Or are Young, Rush, Chloe, and everyone else still asleep to this day? In terms of dramatic storytelling, some ambiguity here actually wouldn’t be the worst choice. It could be that Earth is still out of communication with the ship, unable to connect by Stargate or communication stone. Destiny is a lost mission, an unanswered question not only for the audience but also for Jack O’Neill and the families of the missing. What happened to the ancient vessel? could be an ongoing question mark in a new series. If a new Stargate show were to go that way and pose that question, though, it’s one that would eventually need answering. All good mysteries eventually should be solved. Viewers have already committed to two years getting to know these people, and having them sail off into oblivion … it just isn’t enough. I’d love to know where SGU was going in its 5-year plan. I’d love to know what the cosmic microwave background radiation was all about. An indication of intelligent design? A super-powerful race more ancient than the Ancients, who built the obelisk planet and brought some humans back to life (“Visitation”)? These are the bigger mysteries that SGU was dealing with, but I’m not sure we need answers in the context of a totally different show. But we do need to know — eventually — whether our friends are living or dead. (5) How much further has Earth advanced? Last but not least, of course, fans of the three previous Stargate shows need to know how far our heroes have come in the years since we last saw them. The Stargate program inside Cheyenne Mountain helped Earth to advance rapidly in its technology and its knowledge of the galaxy. In less than a decade we had interstellar ships; knowledge of parallel realities (and how to reach them); and a cache of tech left behind by the Ancients. We know about ascension, built intergalactic alliances, and helped put a stop to the Goa’uld System Lords, the Replicators, and the Ori. So where are we today? Let’s start with the fleet. Earth built no fewer than six Daedalus-class deep space carriers in a few short years. How many have been added in more than a decade since? And are there additional classes of vessels? Are these ships still assigned to defend the homeworld and support teams traveling through the Stargate? Or are some today designated for their own missions of interstellar exploration? Have Earth scientists managed to exploit (and perhaps replicate) the Asgard core? The database contains the sum of all knowledge left behind by the Asgard, bequeathed to Earth … but hardwired into the Odyssey (“Unending”). This leaves Earth not only with Asgard-designed shields, transporters, and energy weapons, but everything the advanced civilization had and knew at its end. What have we managed to do with this gift in the intervening years? When the story picks up, Earth could be extremely advanced technologically. But there are other options for the writers, of course. Perhaps the second decade of the twenty-first century saw Homeworld Command dealt numerous set-backs. A loss of funding. The dissolution of the I.O.A. Even a new alien attack that left the planet reeling. It might be better to start a fourth show in this kind of situation. Earth has been knocked back on its heels; much of its existing fleet has been destroyed. A “soft reset” like this would help to tell new stories by once again stacking the odds against those plucky Tau’ri. 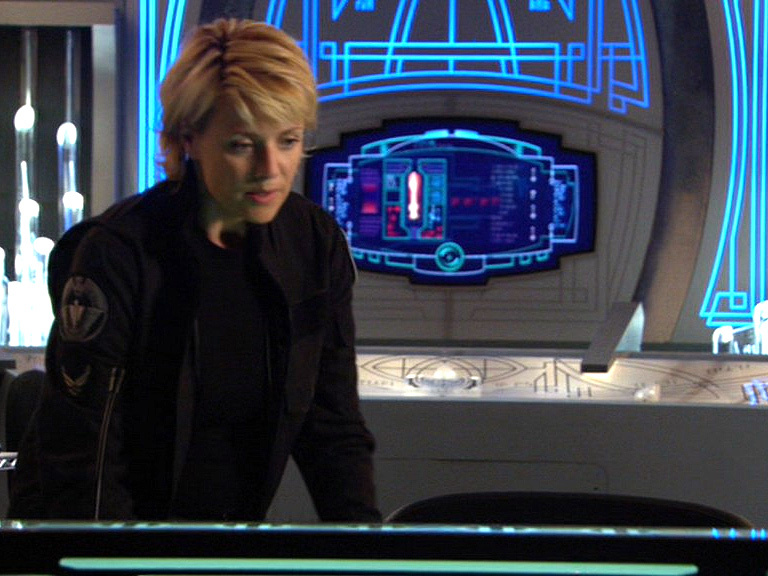 And it would help restore to Stargate something that Wright has always cited as a core element of its premise: The heroes going through the gate are “us.” They are relatable men and women from the present day, not some far-flung (and technologically superior) future. Either way, we need to know. If a new series picks up in the 2020s Homeworld Command shouldn’t look exactly like it did the last time we saw it, in 2011. Or, if it does, there should be a good explanation offered for Earth’s stunted growth. With these questions addressed, fans should be ready to close the book on Stargate’s previous chapters and look ahead to the future. A brand new team? New characters, new planets, new opportunities to get into trouble? Bring it on! But first, show us that those former stories mattered. Because if they mattered, they deserve some measure of closure. You left out the Furlings. 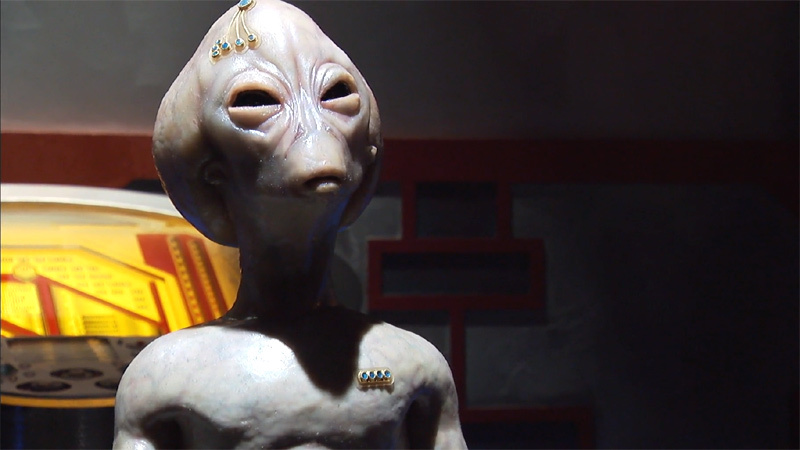 I would love to see Earth finally “in the know” and be advanced like in episode “2010” where the Aschen have provided lots of technology to Earth. But this time around, Earth has naturally advanced. It would be ridiculous in this day and age to still be hiding everything from the public, or even be able to hide it. A soft reset is probably the only way it would work. They could pass it off as a war between the Lucian Alliance and Earth, plus the war with the Wraith, causing a fleet of 10-12 international ships to dwindle to 2-3 dedicated to protecting Earth and one in Pegasus. Destiny could be out of contact still, giving them a possible storyline for later, and simplifying the open threadlines to start with. Atlantis being back in Pegasus and occupied fighting the Wraith and Genii remnants could give them another way to put a plotline to the back burner. Orrr, what if it’s set in a universe where the StarGate series was an attempt to ‘soften’ the coming news with some fun storylines that had almost nothing to do with reality? They’ve found a StarGate and got it to work, but all the rest was entertaining fiction? Yeah I really dislike the “Ancients are evil” idea. I see the Ancients as a logical ’cause and effect’ kind of people. 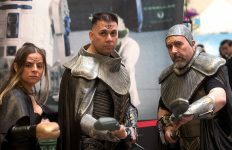 The Goa’uld weren’t a huge galaxy controlling threat when the Ancients were present either, so who knows how they’d react to the current Goa’uld, or if the Goa’uld would be as aggressive as they are now with the Ancients. The Ancients did try to subdue/destroy the Wraith, so who knows. Will we meet the Furlings? I don’t know why but I always thought N.I.D. stood for “National Intelligence Directorate”. I always wondered what the ancients did with their ships. I can’t imagine all were destroyed in battle, or that some weren’t brought back to milky way. Finding an actual cache of ancient ships could be a cool way to jump start a new series. Wasn’t some of this addressed in the comic books? I thought those were canon. Nope, the comics are not canon. Nor are the novels that continued the Atlantis story. Both actually told Atlantis stories that picked up right after the events of “Enemy At the Gate” … and both told totally different stories. Telchak’s device could have been used to supply the Wraith with energy without the need for feeding on humans or changing their physiology. 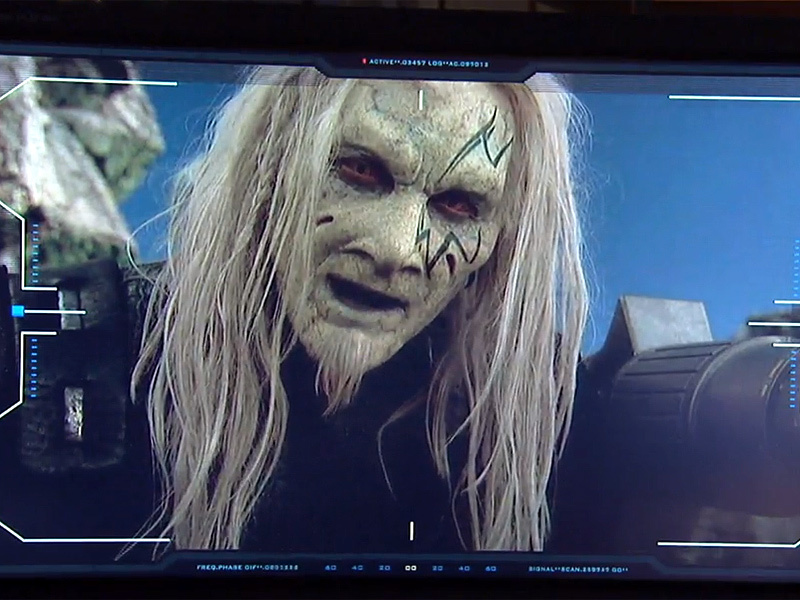 A Goa’uld could have taken a Wraith Queen as a host. There are many opportunities for stories. 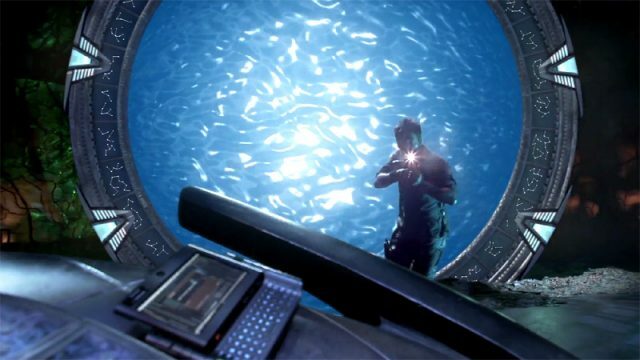 The SGA and SGU comics continue the stories where the two shows ended. They have been in print for the past couple of years. They have continued the series with the story lines as they were when the last episode aired. Thanks for your comment, Todd. The comics (and novels) that continue the SGA and SGU stories are awesome … but they aren’t canon. Brad or anyone else who decided to pick up the TV universe can (and likely would) disregard them. 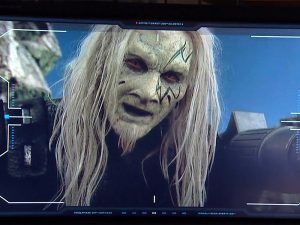 More on canon in the Stargate universe here. How do you make a ZPM? Also, MGM will never do anything with the property. They don’t have the resources . If they did, they wouldn’t be wasting this IP. A big player, ie amazon, would need to swoop in and take control and green light multiple projects. With all these in un-answered questions, I think maybe a new series that encompasses all 3 shows would be great! Not just a series dedicated to just one show. One week it could be an episode of SGA, the next it could be SGU, or SG1. do the world who need the earth today ? I know it sounds a little bit much especially since the show hasn’t been on for years but what if they did one show that covered Sg1, Atlantis, and SgU? If Travellers is really cancelled it’s not like Brad would be to busy and he has the knowledge of all 3 show’s. It seems like MgM wants to do something with Stargate but just hasn’t figured out what direction to go in. Doing a single show that brings all 3 of the previous together would instantly give them a fan base and ratings. Game of Thrones style would work but that means you still need some Lead Actors… but game of thrones didn’t have many B List actors except for Sean Bean. I mean every one of them was either at the beginning of their careere or had some movies but where pretty much unknown so they haven’t paid big salaries imo at least for the few seasons. Afterwards, another story. 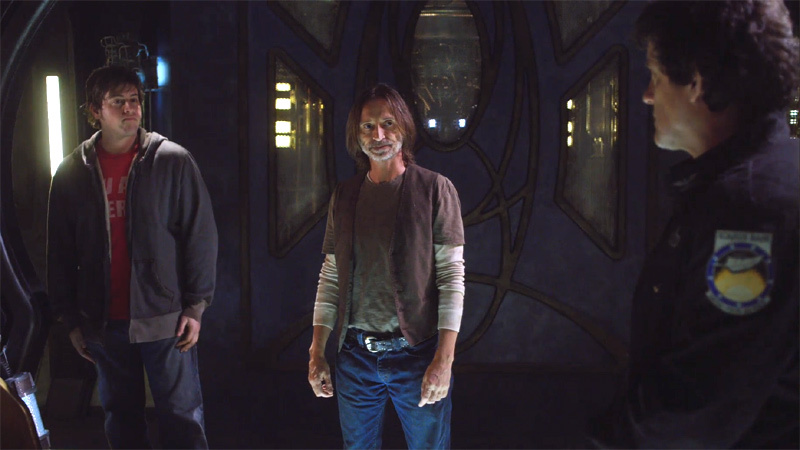 I’m still holding out hope that MGM come to their senses and bring SGU back with a 3rd season, it was a great show with a cast that really sold it. The continuation in the comics was a real let down and the problems the crew were facing weren’t really solved in a satisfying way – the TV show struggled with destiny’s problems for two years but the comics magically had everything fixed with the first couple of episodes. If comics would have continued i would at least have some sort of pleasure to read a continuation… but sgu comic let me down cause it ended like in a fairy tale… “lived happily ever after” -ish story. I’m much more interested in where all the SG-1 characters are today. Cassandra must be hanging around the SGC, for example.